As dog lovers, most of us want to take our canine companions with us on days out where possible. 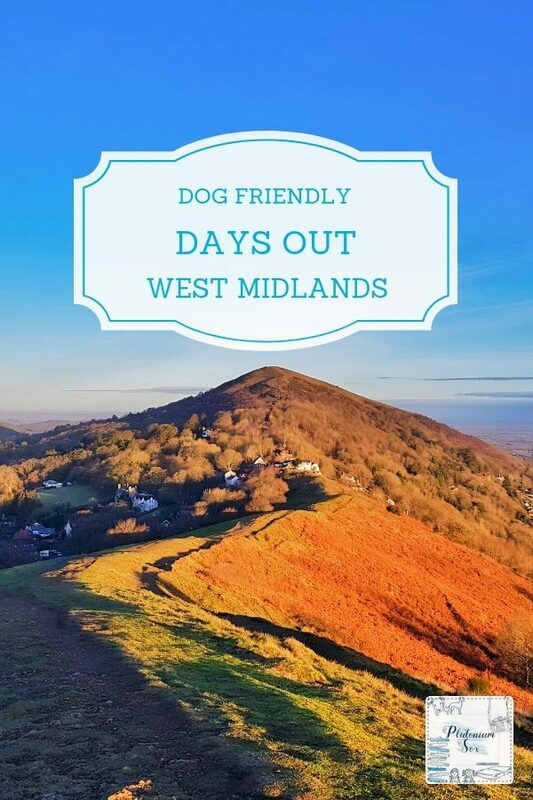 Luckily, there are lots of dog friendly days out in the West Midlands. Some only allow dogs outside, others welcome them indoors with open arms. This guide offers a lot of suggestions of things to do with your dog. As it covers the whole West Midlands region, I’ve split it up by district. If you’re looking for activities in a particular area, please click on one of the links below to take you to the relevant section. This neo-classical mansion managed by the National Trust stands in a landscape and garden designed by Capability Brown. A project is currently being undertaken to restore the walled garden and within the park, visitors can already enjoy Brown’s work. Dogs on leads are allowed in the parkland and gardens but not inside. Full information about the property is available on the Berrington Hall website. This National Trust property is a medieval manor house located in a 1700 acre estate. It’s a great place to get out and about for a walk and dogs are welcome in the woods and parkland. Children will love the natural play trail. At just under a mile long, it boasts activities to climb, balance and play on. Dogs can come along on the play trail too. Whilst dogs aren’t allowed inside the cafe, there’s a large courtyard seating area that is dog friendly. Full information and opening hours available on the Brockhampton website. Croft Castle National Trust property is a great family day out with plenty of places to explore, fun playgrounds and a cosy, warm tearoom. The parkland and gardens are dog friendly, as is a section of the tearoom. Dogs aren’t allowed inside the other buildings. For a selection of walks of varying distances around the estate and full information on the property, head to their website. You can also read my review of a family day out at Croft Castle. Look out at the majestic Black Mountains as you stroll around Hergest Croft Gardens. This dog friendly garden in the Welsh Marches contains a rare plant collection, trees, shrubs, flowers and a kitchen garden. Explore a park wood, maple grove and azalea garden before relaxing in the tearooms. Dogs are welcome throughout the gardens as long as they are on a lead. Full information and dates and times of opening are on the Hergest Croft Gardens website. 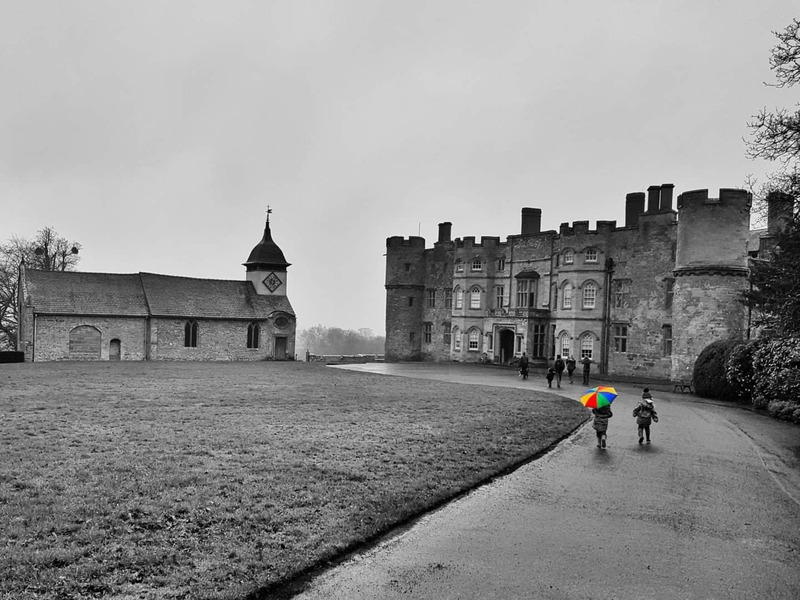 Eastnor Castle is always a great day out, with events on throughout the year. There is a big focus on being outdoors with an adventure playground, lakeside walks and exciting themed activities for children. This is a particularly dog friendly attraction as canines are even allowed inside the castle. The castle is only open on particular days, so do check their website before you go. 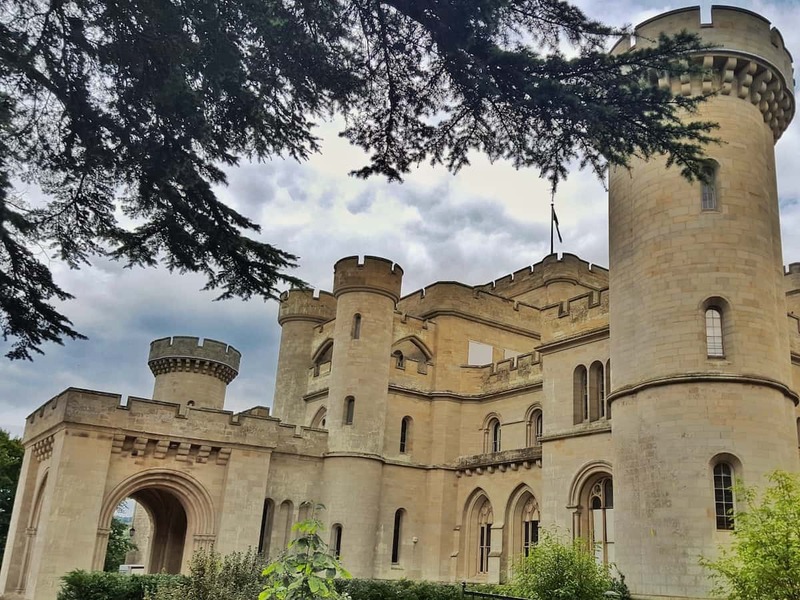 You can also read my review of a family day out at Eastnor Castle. 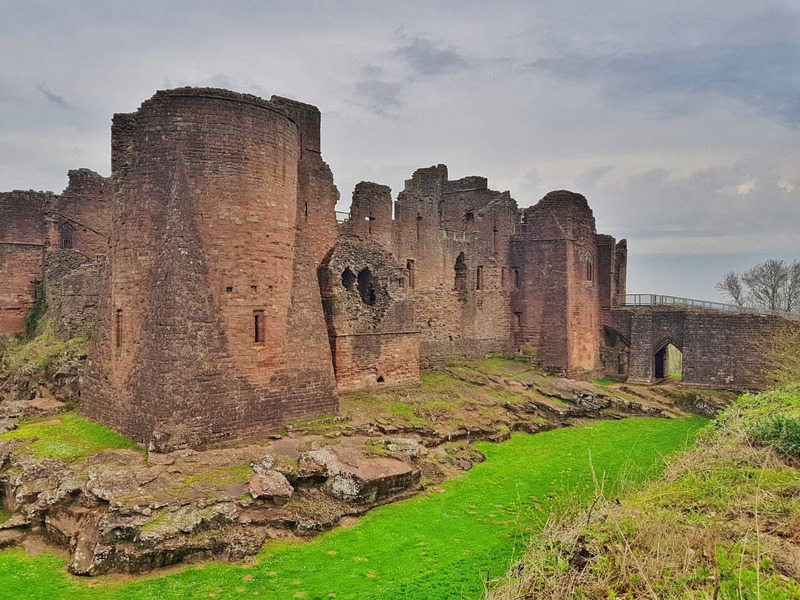 Goodrich Castle is widely accepted to be one of the most well preserved medieval castles in England. Located less than half an hour drive from the centre of Hereford, it boasts views over spectacular countryside. 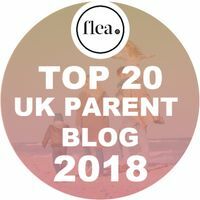 It strikes the perfect balance between informative and authentic and better still, it’s ideal for both dogs and children. Dogs are welcome everywhere except inside the café. They are fine to sit outside the café though, and dog water and treats are available. Further information is available on their website and you can read my review of a family day out at Goodrich Castle. This is a small, family run farm park based on a working farm near Ledbury. Children can collect eggs, ride ponies and go on tractor rides. They can also feed pigs, llamas and ducks and get hands on with small animals. There is an outdoor play area and an indoor play barn including a dedicated toddler zone. The Newbridge Farm Park website says that friendly dogs are welcome on leads. Now managed by the National Trust, Attingham Hall and its parkland were originally built for Lord Berwick in 1785. Inside the building, visitors will gain an insight into the Berwick family through its construction and paintings. Spot wildlife in the woodlands and deer park, take children to the natural play field to let off some steam and explore the walled gardens. There’s even a shop stocked with produce grown in there. According to the Attingham Park website, dogs on leads are welcome near the mansion and in the deer park. This recreation of a Victorian Town allows visitors to learn about Victorian life and meet characters from the era. Authentic cottages and shops, tradespeople in workshops and goods from back in the day make this an authentic way to take a step back in time. Swap your money into pounds, shillings and pence and watch demonstrations, ride a horse and cart, shop at an old-fashioned sweet shop and take part in a singalong at the local pub. Dogs on leads are welcome throughout the town except for cafes and exhibits selling food. Full information and opening times are available on the Blists Hill website. Dorothy and Clive Garden is an iconic English country garden. A variety of plants, stunning views and home cooked food welcome visitors. Throughout the year, events take place aimed at various audiences including families. There are even special events for dogs where you can bring your pooch to a dog show, do a treasure hunt with them, visit canine stalls and take them in the pet photo booth. Dogs on leads are always welcome everywhere in the garden except for the children’s play area and in the tea room. Fresh drinking water for dogs is always provided outside the tearooms. Head to the Dorothy and Clive website for opening times and further information. For more than 875 years, Dudmaston Hall was a family home. Now managed by the National Trust, a visit offers an insight into the various owners and their quirks and the gardens offer beautiful views. 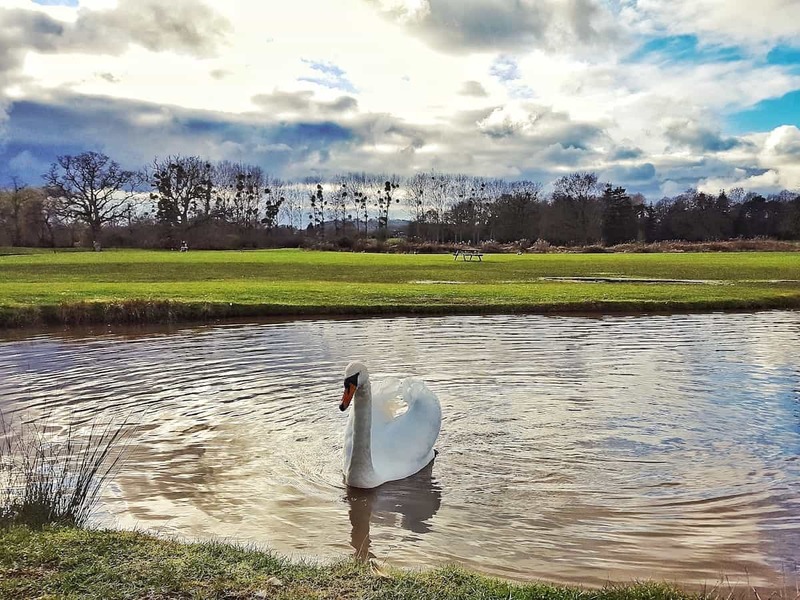 Children can let off some steam in the orchard and Dingle Woods and visitors will enjoy views of Dudmaston Hall from the walk around its Big Pool. A kitchen garden supplies the tea room, so visitors can enjoy seasonal meals. Dogs are welcome on leads within the park, courtyards and orchard. In Comer woods and the parkland, they can explore freely as long as they’re under control. Full details are on the Dudmaston Hall website. I’ve always been a fan of Hawkstone Park. The follies are built around sandstone cliffs in a lovely area of countryside with views stretching for miles. There’s a tearoom close to the park entrance and picnic benches throughout the park. The walk between the follies is quite taxing, but you can take a warden safari by pre-arrangement in one of their jeeps if you’re not up to the walk. Dogs are welcome at Hawkstone Park and must be kept on a lead. Check the Hawkstone Park website before visiting for opening dates and times. Near to the Shropshire Hills Discovery Centre, visitors can access 30 acres of meadows alongside the river Onny. A 700 metre circuit of surfaced paths makes the meadows accessible to all. Further exploration down to the riverbank is via unsurfaced paths. Picnic benches are dotted around, including a wheelchair friendly one. At the Discovery Centre, there are toilets, a cafe and a shop. There’s also an exhibition about the history of the area and free WiFi access. Dogs are welcome at Onny Meadows. They ask owners to clear up after their dogs and both bags and bins are provided. There’s also a dog water bowl at the visitor centre. Only assistance dogs are allowed inside the centre. Further information available on the Discovery Centre website. This Forestry Commission land is a great day out for the whole family, including the dog. Woodland walks and mountain bike trails provide the opportunity to get active. With four cycling trails, four walking trails, Segway, Go Ape, orienteering, children’s play areas, barbecue and picnic areas, bike hire and a cafe there’s plenty to keep the whole family busy. Dogs are welcome at Cannock Chase Forest. In fact, this place is so dog friendly that there’s even a special dog activity trail where canines can try several activities including fetch, weaving and jumping. Full information is available on the Cannock Chase website. You can also read my review of a dog friendly family day out at Cannock Chase Forest. Churnet Valley Railway is a heritage railway running restored steam and diesel trains along the standard gauge Churnet Valley Line from Froghall to Cheddleton and Leekbrook. They are only open on certain dates and operate three different timetables depending on what’s on. They recommend travelling from Froghall, where there are facilities and a cafe. Dogs are welcome on the Churnet Valley Railway as long as they are kept on a lead and owners pick up after them and don’t allow them on the seats. Only assistance dogs are allowed on dining experiences. Full information is available on the Churnet Valley website. The National Trust manages Downs Banks, a little urban wilderness of heath and woodlands. A brook runs through the area and high ground offers stunning views across the downs. An identification pillar marks the highest spot and identifies visible landmarks. Friendly cattle graze on Downs Banks to recreate traditional farming methods that shaped the landscape. There’s a mile and a half route around surfaced paths that can be accessed by rugged wheelchairs and pushchairs. Other paths can be steep and narrow in places. Some bridleways are suitable family cycle trails. Dogs are welcome at Downs Bank but there are no facilities to dispose of dog mess, so they ask you to pick it up and take it home to dispose of. Full details on the Downs Banks website. National Trust Kinver Edge is a unique setting containing a hill fort on a sandstone ridge that overlooks houses set into red sandstone rocks. It is a haven for various wildlife and visitors can explore the famous Holy Austin Rock Houses. Hear tales of past residents and stroll around the the Kinver Edge heathland and sandstone ridge to take in the views from the Iron Age Hill Fort’s ramparts. You can walk for miles through woodlands and buy refreshments at the tearoom or take a picnic. There’s a free trail and natural play areas for children. Dogs are welcome but must be kept under close control around livestock. They ask you to take dog mess home to dispose of. Full information on their website. 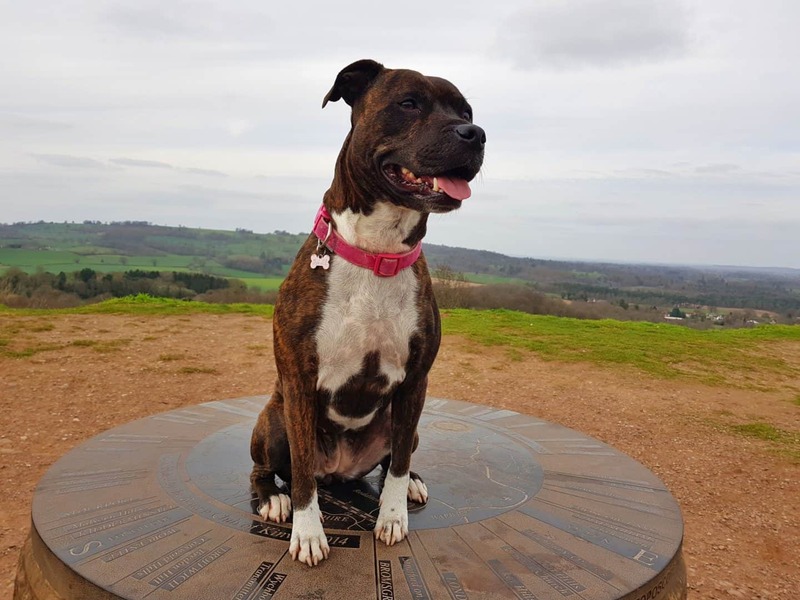 You can also read my review of a dog friendly family day out at Kinver Edge and the Rock Houses. Shugborough Estate has recently come into the care of the National Trust. Throughout the estate, a conservation project and plan of improvements has started and will continue for the next ten years. Visitors can explore woodland, parkland and various monuments dotted around the estate. Visit Park Farm and step back in time to the Georgian era inside the mansion. Book an appointment at reception to view the glamorous apartments that were home to 5th Earl Patrick Lichfield, a fashion photographer. Dogs are only allowed in the parkland and gardens. Full details on the Shugborough website. Trentham is an award-winning garden that has an adventurous edge. As well as the beautiful gardens designed by Capability Brown, you can enjoy a lakeside walk with the fairies or take the children to the adventure playground and the maze. There’s even a barefoot walk and a miniature train. This is a dog-friendly attraction, although dogs need to be on short leads and are not allowed in the barefoot walk, children’s play area or Capability Centre. Cadwaladers cafe allows dogs inside and outside and several other cafes and restaurants allow them to join owners outside. There’s even a dog wash at the Trentham shopping village and a Doggie Fashions shop with a dog bakery. Further information is available on the Trentham Gardens website. This impressive English Heritage owned property is of great historical significance. Enjoy views from the tower, stroll around the Elizabethan garden and learn about the castle and its fascinating history. There are events on at different times that will make the castle more appealing to children such as falconry displays and adventures in archeology. 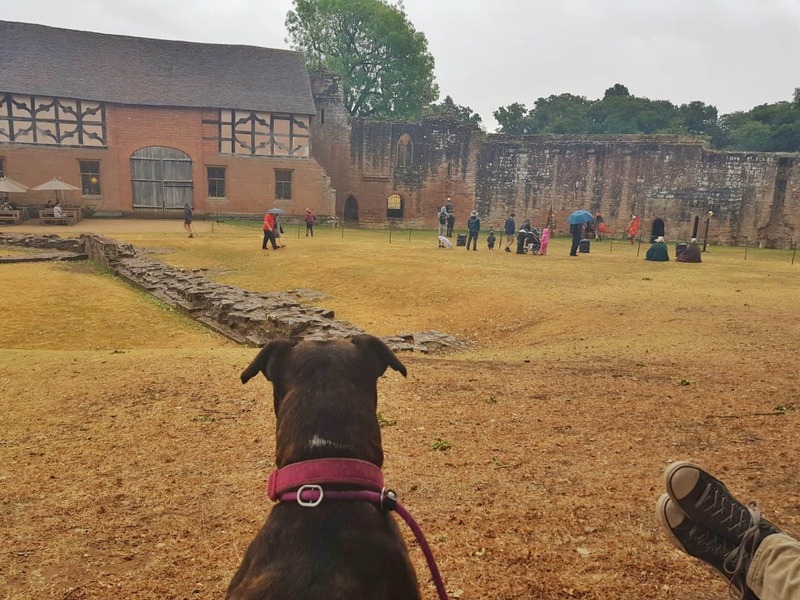 Kenilworth Castle is dog friendly with dogs welcome on leads throughout the site, with the exception of the food area of the tearoom. There are seats outside the tearoom with umbrellas to keep you dry on a rainy day. Full details are on their website and you can read my review of a dog friendly family day out at Kenilworth Castle. This is a grand stately home set in beautiful grounds. Children will love the adventure playground which includes an aerial slide, rope bridges, climbing frames and even a 3D maze. There’s also a woodland walk and you can take a tour of Ragley Hall itself. Whilst the indoor area makes this suitable for any weather, children will prefer to visit when they can explore the adventure playground. Dogs are welcome in the grounds on leads. Full details on the Ragley website. The Shakespeare Birthplace Trust is made up of five museums, each based on a different aspect of the work and life of Shakespeare. 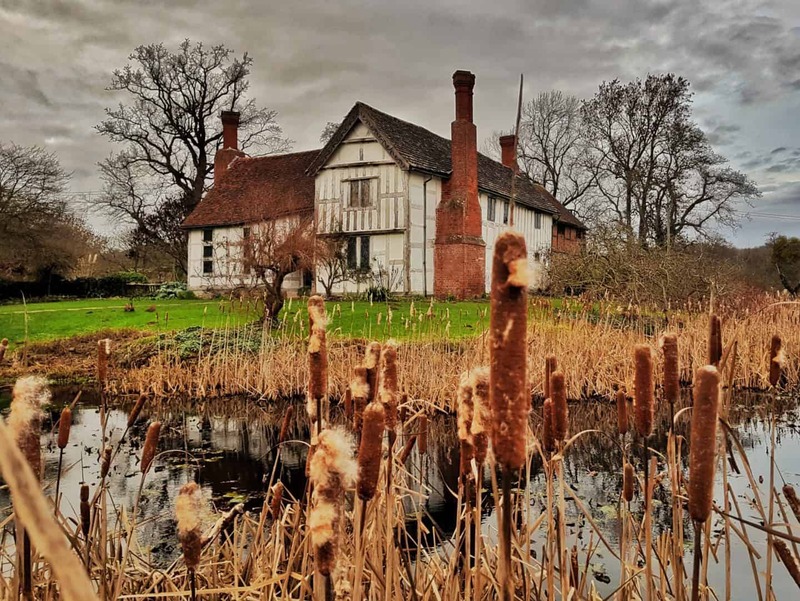 Dogs on leads are allowed in the outdoor areas of Hall’s Croft, Shakespeare’s New Place, Shakespeare’s Birthplace and Anne Hathaway’s cottage. Full details of the museums are on the Shakespeare Birthplace Trust website. Charlecotte Park is a Victorian house located within a deer park overlooking the river Avon. It has been home to the Lucy family for 900 years and visitors can learn about its history and former residents. The central part of the house is open to visitors and brought to life by costumes and exhibits. The gardens, woodland and parkland offer beautiful walks and picnic spots. Enjoy the Capability Brown landscape across the Avon and see deer and Jacob sheep roaming free. Dogs must be kept on short leads and are only allowed on the dog-walking route in the parkland. Full details are available on the Charlecotte Park website. This is a 150 acre country park located in the Black Country. It is the perfect place to see diverse wildlife, go camping or just pop into the tea shop for a cuppa. If you’re feeling a bit more adventurous, you could try horse riding, explore the children’s adventure playground, go mountain biking or take a look at the miniature railway. The park is dog friendly. Other activities are available so do have a look at their website. Lickey Hills Country Park covers 524 acres with complex geology and varied wildlife habitats. Explore grassland, woodlands and heathland and drop in at the visitor centre. A cafe serves snacks and indoor and outdoor seating is available. The cafe and shop only accept cash payments. 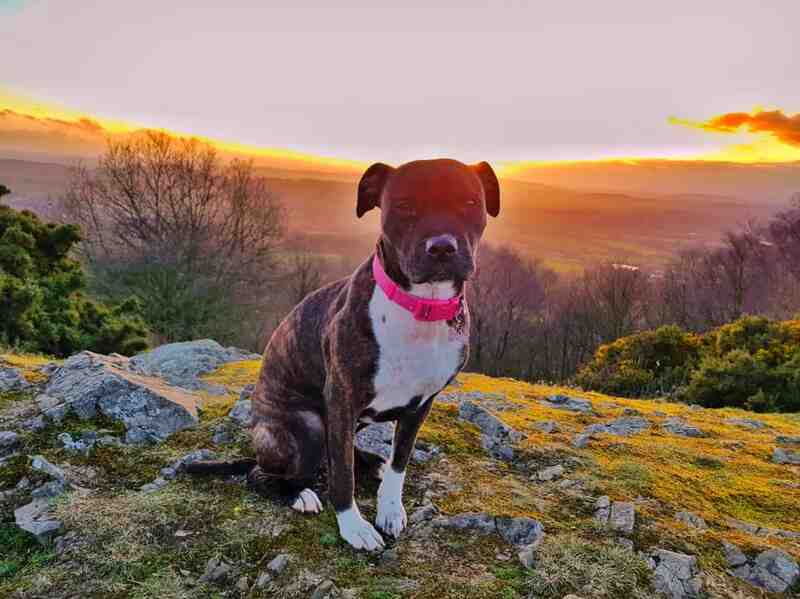 The Lickey Hills are dog friendly, but they ask dog walkers to stick to the paths and clean dogs paws after every visit due to a plant disease in the park. Full information is on the Lickey Hills website. One of Europe’s largest urban parks, 2400 acre Sutton Park is a designated Site of Special Scientific Interest. It has seven lakes, wetlands, heathland, marshes and woodlands and both wild ponies and cattle graze there. A visitor centre is located near to the Town Gate park entrance, where there’s a shop, toilet facilities and information. Hand wash facilities are dotted around the park and regular hand washing is advised. The park is dog friendly and dogs should be kept on leads from April to June to avoid disturbing ground-nesting birds. More information is available on the city council website. The National Trust took on Wightwick Manor when it was just 50 years old in 1937. The interiors are intricately decorated and there’s also a collection of pre-Raphaelite paintings inside. This property fascinates visitors as both an insight into family life and an art gallery. Whilst dogs aren’t allowed in the house itself, they are welcome on leads in the large garden and woodland. Full information is on the Wightwick Manor website. I have to admit I’m a little bit biased about how brilliant Avoncroft is since it’s where I got married. This is a museum of old buildings from different eras that have been moved from various places and reconstructed here. There is even a section dedicated to phone boxes, including a Tardis. Children love the amount of space at Avoncroft, they can run and play as well as learning. Dogs are welcome on leads at Avoncroft and they even have a special Dog Day Weekend each January, when visitors are positively encouraged to bring a dog along. Full details on the Avoncroft website. This is a National Trust walking trail with dogs in mind. It’s a 40 minute long circular walk where dogs are free to run around off the lead. The two mile walk passes through woodland and takes in stunning views of the surrounding area. Dog water bowls and dog bins are available at the Nimmings Wood car park. Full details on their website. This is our default place in the West Midlands to spend half a day if we’re at a loose end. It is free to take a stroll around and see the reindeer, goats, pigs, alpacas, ducks and chickens. You can buy food as well if you’d like to feed them. They do expect you to eat in their café rather than bring a picnic as everything else is free. There is a small assault-course style play area and it is in a beautiful location. Dogs are allowed to walk round to see the animals with you and there are seats outside the cafe where they can join you. They’re not allowed in the cafe itself, but if it’s bad weather you can approach staff and ask to use a separate room so dogs can join you inside the building. Full details on the Cob House website. We are National Trust members and the annual investment is well worth it for free entry into some fantastic attractions. Croome is one of my favourite West Midlands days out. They have a standard outdoor playground with swings, slide and other play equipment. There is also an additional play area that is based around more natural activities like den building. This is in addition to the café, beautiful grounds and the house itself. 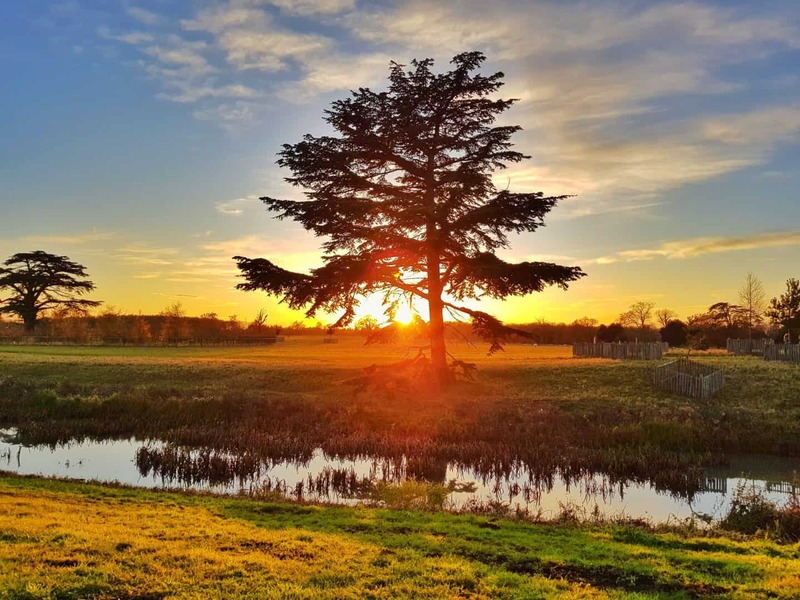 Activities and events regularly take place at Croome too. Dogs are welcome on leads in the grounds and there are some areas where they can be let off the lead. They can’t go in the house or cafe, but there is an undercover outdoor seating area at the cafe near the entrance where they can join you. Full details on their website. Inside Hanbury Hall, visitors can see what life was like in the 18th century. But this National Trust property has more to offer than just its interior. It is set in beautiful gardens and orchards and surrounded by scenic walks. For children, there is a play park and natural play area. There are also events throughout the year, including welly walks and wildlife exploring. Dogs are welcome on leads in the park and must stick to footpaths. Full details on the Hanbury Hall website. The cottage in Broadheath where Elgar was born was purchased by his daughter after his death. It has since become a museum in his memory and is now run by the National Trust. 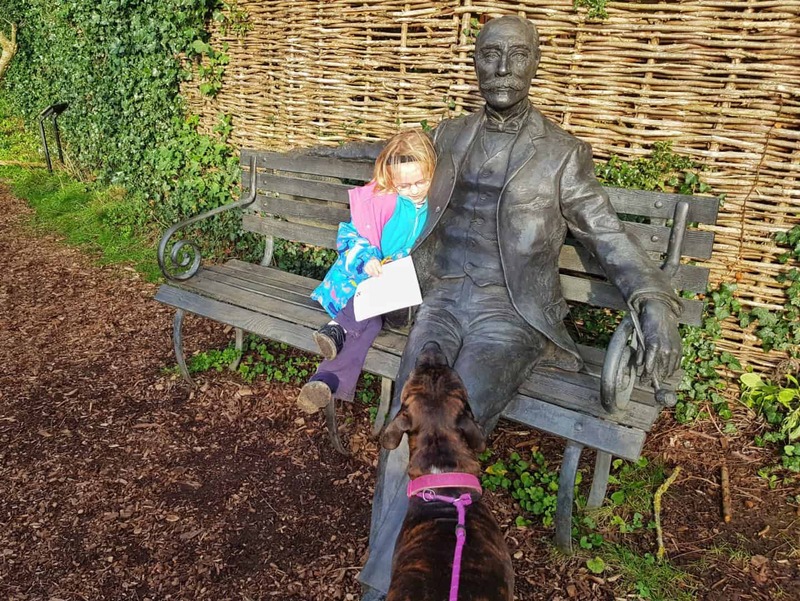 This is a surprisingly dog friendly and child friendly day out. The museum itself is full of fascinating exhibits and children can let off steam outside in the musical garden. Dogs are allowed everywhere except for the café and inside the cottage itself. Full details on their website and you can read my review of a dog friendly family day out at the Firs. The Abberley and Malvern Hills Geopark is one of the most beautiful natural areas in the West Midlands. It stretches across four counties, covering a 1250 square kilometre area. On their website there are activities, places to visit and information about the geology, wildlife and heritage of the area. You can also find a variety of walking trails, with options suitable for any age and level of fitness. The whole area is dog friendly but dogs need to be on leads in many places due to farm animals grazing. 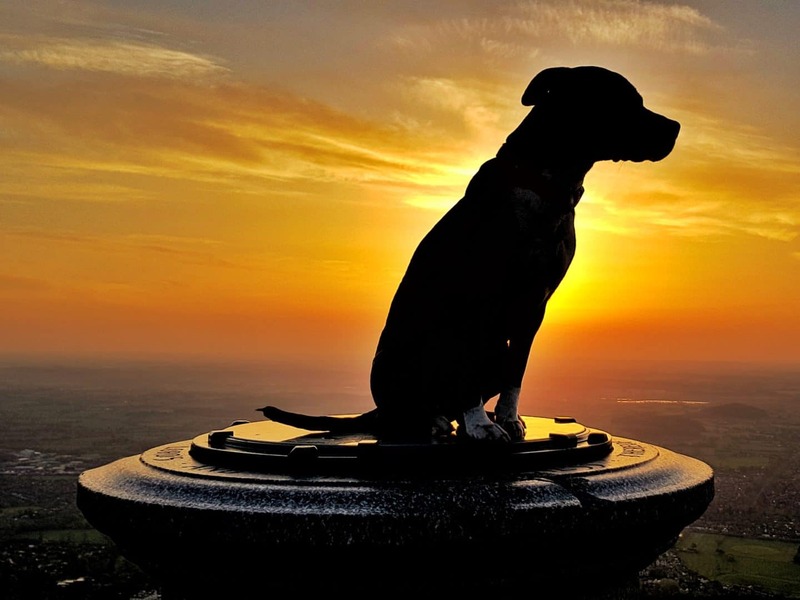 You can find further details on the geopark website and some dog friendly pub recommendations in my list of Malvern Hills walks. The Severn Valley Railway runs predominantly steam trains from Kidderminster to Bridgenorth. It is largely run by volunteers and doesn’t run every day so it is worth checking their website before you go. 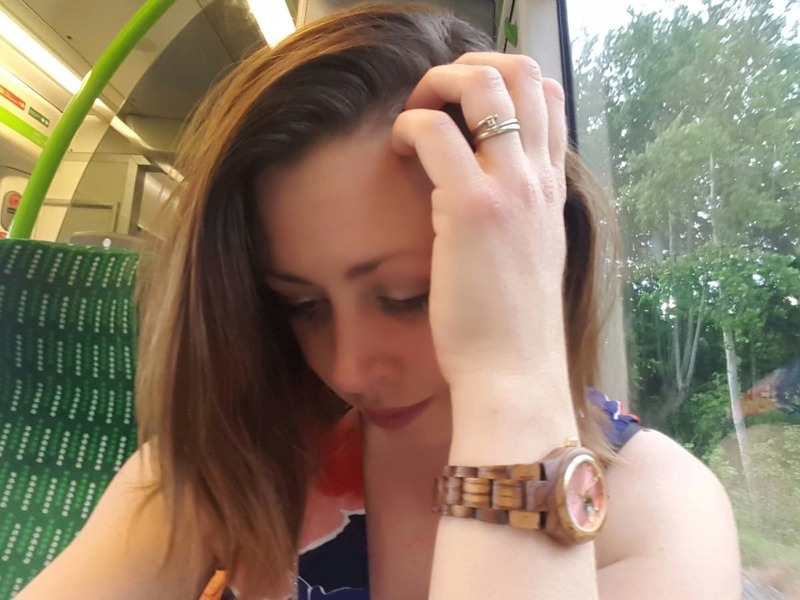 The trains run between their dedicated stations, where you can get off to stretch your legs, visit a local pub and learn more about the railway and its engines. They also run special events throughout the year. Dogs can travel on service trains for £3 as long as they are on a lead and don’t sit on the seats. They’re not allowed in first class or buffet carriages, observation saloons or bar cars. At the Highly Engine House Visitor Centre, dogs are allowed on the ground floor, but not on the first floor where the cafe is. Full details on the Severn Valley website. This fascinating English Heritage property has formal gardens, woodland walks and a ruined stately home. Admire the stunning views and elaborate water fountain from the house. In the gardens, adventure play areas keep the children busy and dogs on a lead are welcome. An independent tearoom operates from April to October. Dogs are allowed in the conservatory of the tearoom, which is by far the nicest part anyway. 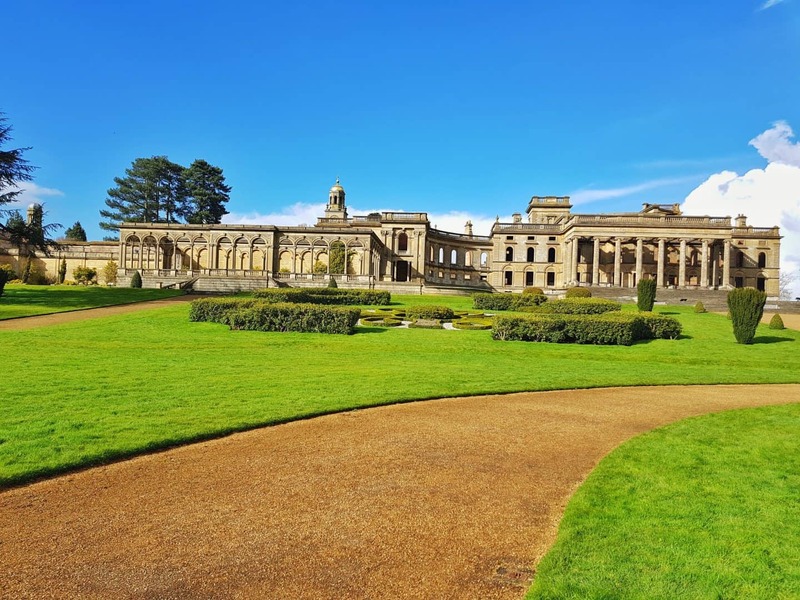 Further information is available on their website and you can read my review of a day out at Witley Court. The Worcester Woods Country Park consists of 100 acres of both woodland and meadows. There are well defined paths with short trails ideal for young children, and longer trials that adults and older children will enjoy. At the Orchard Café, you can buy hot drinks, snacks and healthy meals. There is also a small play area inside for young children and a large park outside, as well as a sports field and small train and other attractions that run during peak times only. Dogs are welcome in the woods and on the field but they are not allowed in the children’s play area or inside the Orchard Cafe. However, there is a large seating area outside the cafe, some of which is undercover and dogs can join you there. More information on the Orchard Cafe website. 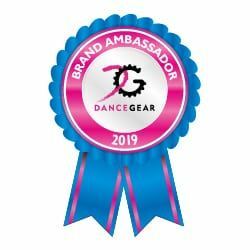 Please note, I have worked with some of these destinations on reviews in the past but none have asked to be included in this guide. Ahh that’s so lovely, I’m really glad it’s helpful to you.